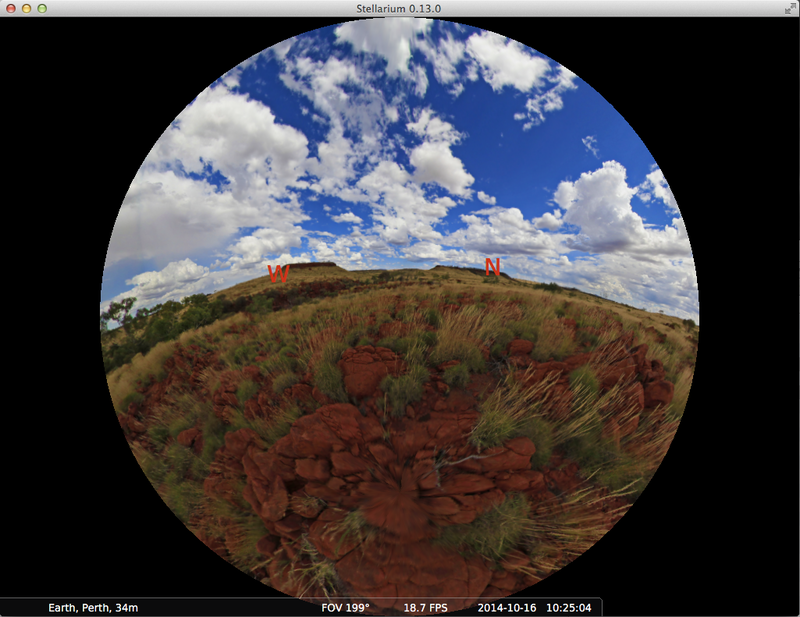 The following is a landscape file for Stellarium created as a full spherical projection. 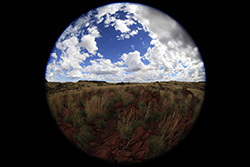 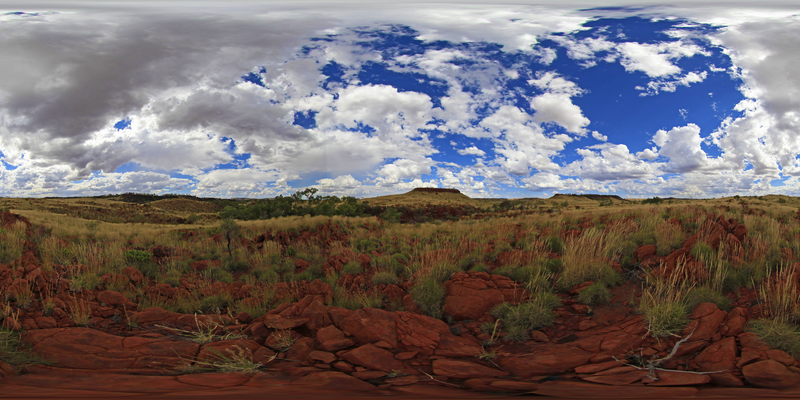 The approach for creating such landscapes is to take 3 full fisheye photographs, these are stitched together to form a 360x180 degree spherical panorama. 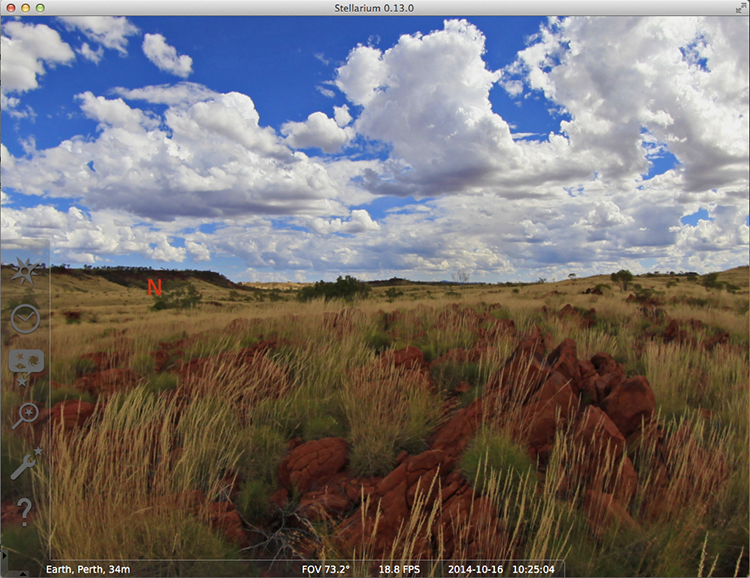 The panorama is then typically exported as cube maps so that the ground under the tripod can be edited, for such organic land surfaces this is relatively straightforward using the context aware fill in Photoshop or the clone stamp tool. 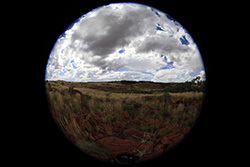 The cube maps are then either used directly in Stellarium, or as in this case, combined back into a spherical panorama. 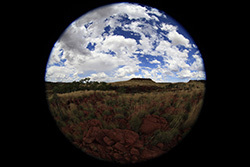 Virtual tour created using PanoTour software.